Orders for small and large aircraft are being cancelled in HUGE volume, and we only may be seeing the beginning. NetJets is nuking it's expansion plans, as the "I can maybe afford this?" customer ditches their service and heads back to commercial travel. In a press release announcing that full year 2009 would see operating losses of about $730million, Hawker Beechcraft also notes that Berkshire-owned NetJets is cancelling 90% of their contracted orders with the manufacturer. Hawker Beechcraft attempts to minimize this by saying that NetJets "historically has not represented more than 10% of the Company's annual revenue." Ah, ok no worries...Until they mention that The NetJets cancellation will reduce backlog (expected revenue) by $2.6billion, leaving total backlog at $3.5billion. Soooo, while not "historically" a huge piece of business, NetJets was representing 43% of expected revenue backlog. Thanks for the clear as mud explanation. Textron (TXT) announced yesterday afternoon that it too is seeing huge cancellations from a "large customer." 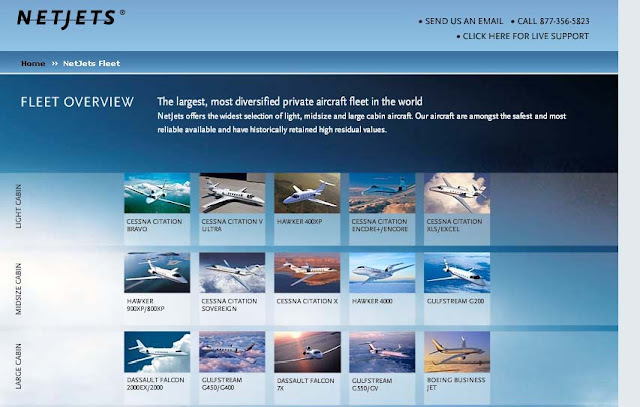 PROVIDENCE, R.I.--(BUSINESS WIRE)--Textron (NYSE:TXT -News) today announced that its Cessna business unit continues to see stabilization in the business jet market. Cessna management has observed that availability of used aircraft is declining, customer utilization of the existing fleet has stabilized, availability of financing is improving and customer inquiries for new orders are beginning to increase. At the same time, Cessna has continued efforts with customers to clarify the status of long-term orders remaining in backlog. The company has been in discussions with a large customer concerning the cancellation of about $1.1 billion of jets it had on order with Cessna. None of these aircraft were planned for delivery through 2012. And finally, Ryanair says they're cancelling plans to buy 200 Boeing jets in the 2013-2016 period, and will instead return that cash to shareholders. They cite difficulties in discussions, you can bet they were looking for ANY reason to scrap this order. "Ryanair has made clear to Boeing that we will not order aircraft if we believe that either the pricing or the other contractual terms and conditions will be inferior to those which we currently enjoy, as this would not be a wise or sensible use of shareholder funds," it said in a statement. The budget airline has a reputation for being one of the fiercest negotiators among carriers.